Launched in 2012, the TIS Scrutiny Programme supports tenant and landlord organisations to develop effective tenant scrutiny arrangements. Develop a scrutiny framework that is right for you. 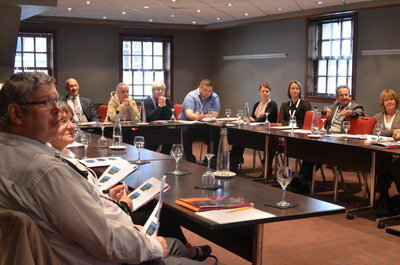 The TIS Tenant Scrutiny Programme is proving popular with Councils and RSLs throughout Scotland. “Here in Perth in Kinross Council, we have been working with our tenants to develop our approach and framework to scrutiny. TIS bring the learning they have gained by supporting other landlords to do the same. Our tenants and staff are working well together as a result of the excellent facilitation from TIS”. Suzie Burt, Team Leader, Perth and Kinross Council. TIS have also produced a Tenant Scrutiny Framework which provides a useful toolkit in planning your tenant scrutiny. Drew Nisbett, Housing Manager, Fife Housing Association commented “TIS have been invaluable in supporting us to develop a tenant scrutiny framework that will work for Fife Housing Association”. TIS are currently producing a “Scrutiny- How To?” guide, which will be launched as part of a one-day good practice conference in Edinburgh on the 19th September 2013.